"Everich is valuable in terms of location, quality of service..."
Have a question for Everrich Hotel? 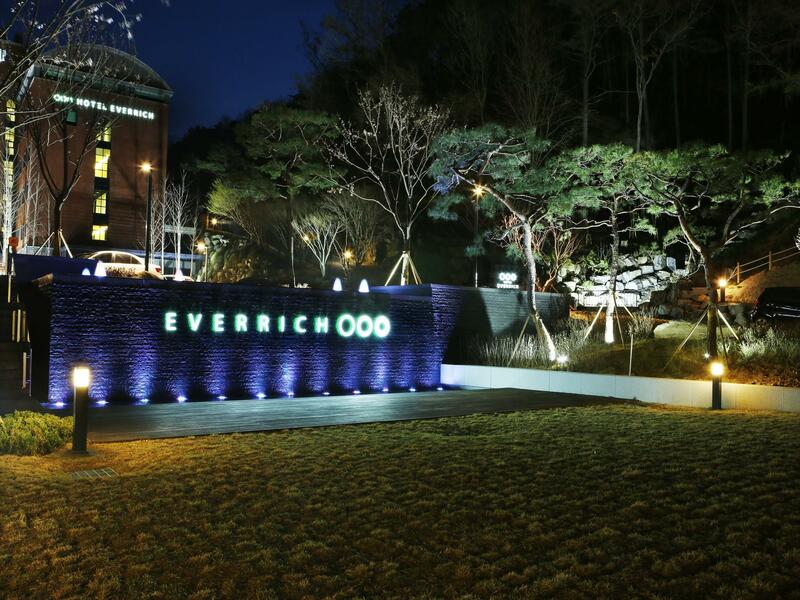 Ideal for fun and relaxation, Everrich Hotel is located in the Ganghwa-do area of Incheon. From here, guests can enjoy easy access to all that the lively city has to offer. With its convenient location, the hotel offers easy access to the city's must-see destinations. Everrich Hotel also offers many facilities to enrich your stay in Incheon. A selection of top-class facilities such as free Wi-Fi in all rooms, 24-hour front desk, Wi-Fi in public areas, car park, family room can be enjoyed at the hotel. 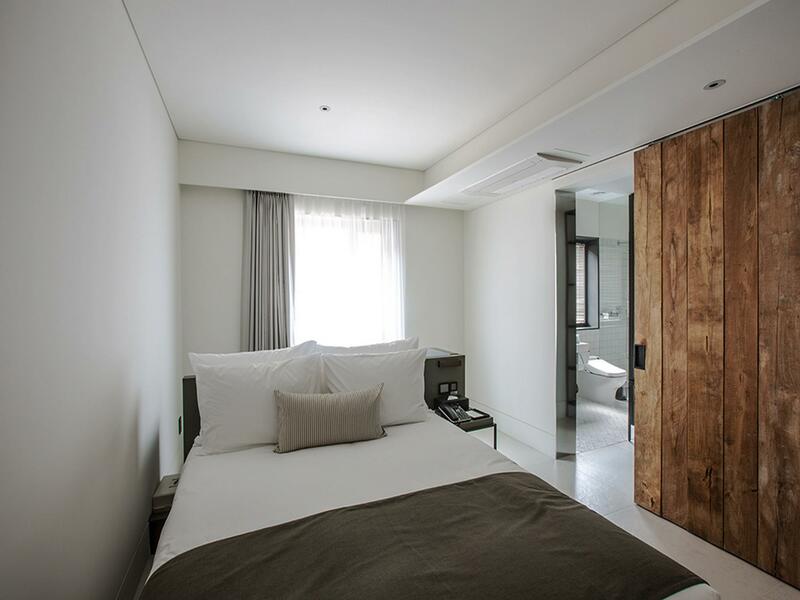 Guests can choose from 70 rooms, all of which exude an atmosphere of total peace and harmony. The hotel's outdoor pool are ideal places to relax and unwind after a busy day. Everrich Hotel is your one-stop destination for quality hotel accommodations in Incheon. Everich is valuable in terms of location, quality of service if you are looking for a high-class hotel outside of a city. Staff is very kind and warmly welcomed us. You can order foods any time on the phone either from hotel room service or food delivery. some second-hand books are on sale, approx 4,000won. What I only want to complain is I found some molding spots in the washroom and beside the bed. Otherwise, overall pretty valuable. Ganghwa is a small island with lots of historic sites. This is the only boutique hotel with 4 stars in the island. It's located on the hill and the view from there is fantastic. The room is small but clean and comfortable. Breakfast was good! It was rather brunch not breakfast! Don't expect with their outdoor pool but I love their lavender garden. I'll stay there again! Room is small but clean. But toilet door is not fully closed due to the structure. It's okay when room is big. But when Room is so small, toilet with half closed door is so terrible. Probably the best hotel in Gangwha island. Their ondol room is great value for family. We had bug forest bug on our balcony that they sprayed for. Bug spray smell. I did have a problem with the toilet being located in the room and not in a private bathroom. 깨끗했고 따뜻했어요. 발코니 있어서 밖도 구경하고요. 레스토랑에서 저녁 먹었는데 엄청 맛있진 않았어요^^;; 시간때문이였는지 카페도 문을 닫아서 먹어보고싶었던 라벤더 음료도 못먹어봤네요. 아기침대 요청했는데 기대 이상으로 좋은 아기침대가 준비되어 있었구요. 깨끗한 아기이불까지. 베개까지 준비해주셔서 덕분에 푹 잘 잤습니다. 감사합니다. 후기가 좋아서. 방문했는데 방마다 좀 다른가 보다. 한 명이 쓸 정도의 비지니스 호텔 수준의 방에 2명을 배정해 줬고. 화장실 문과 샤워부스에 옷걸이가 없어, 친구끼리 방문할 경우 매우 민망해진다. 공기청정기를 부탁했더니 준비해 주었으나, 소용이 없을 정도로... 방에 먼지가 많고 청소 및 위생상태가 아주 최악이다. 수건 및 곳곳에서 락스 냄새가 나서 머리가 아프다. 건조하기 까지 해서 어서 나오고 싶었다. 조식은 그냥 보통 수준이었으나, 그릇 등의 세척 상태가 별로였다. 자차가 있다면 시내 쪽 접근성은 좋으나, 조금 외진 곳에 있다. 다시 가고 싶지 않다. 강화도엔 펜션은 많은데 깨끗하고 시설좋은 펜션이 딱히 없다.펜션검색중에 알게되었던호텔. 2년전부터 가끔가는데 갈때마다 기분좋게 돌아온다. 조식은 솔찍히 그저그렇다.그냥 고즈넉한 주위경관이라던지 깨끗한 룸 컨디션이라던지..제철에 가능한 라벤더패키지(아이들과 함께)는 마음의 여유를갖게한다. 가격이 저렴하진않지만..요즘 펜션들이 너무 비싸다보니.. 규모가 작지만 쉬기에 괜찮은 호텔이다. 한달만에 후기를 올리게 되었습니다. 저희부부는 첫 결혼 기념일을 맞아 에버리치에 방문하게되었고 많은 블로그나 정보를 통해 구석진 곳에 있다는 것을 알고 방문하였습니다. 저희에겐 한적하고 조용한 분위기여서 마음에 들었습니다. 직원분들도 친절하셔서 기분좋았습니다. 다만.. 위생상태가 너~~무 최악이였습니다. 곳곳에 낙후된 흔적이 있었고 체크아웃하려고 방 정리하다 확인 한 부분이지만 침대아래 벽쪽엔 저희가 먹지않은 맥주캔과 쓰레기가 고스란히 있었습니다.. 그래서 배딩 위생상태또한 의심스러워 퇴실할때 굉장히 불쾌했던걸로 기억합니다. 그리고 저희는 월요일에 묵게되었는데 단체투숙객이 있었는지 밤새도록 방음이 하나도 안되어 옆방 깔깔거리는소리 복도에 돌아다니는소리 정말..모텔만도 못하다는 생각이들어 만족도가 굉장히 떨어졌습니다. 그냥 조식주고 상주하는 직원이 친절한 모텔이라는 느낌? 숙박을 할때 가장 신경쓰게되는 부분이 위생적인부분인데 그래서 모텔아아닌 호텔이나 펜션같은곳으로 알아보게되는데 정말 실망스러웠던 에버리치였습니다. 위치는 차가 있어야만 갈 수 있고, 강화도 어디든 가기 편한 위치 입니다. 호텔이 산 중턱에 있어 차로만 이동이 가능합니다. 그러나 마운틴 뷰는 매우 좋습니다. 또한 부대시설도 매우 좋고 식당도 좋고 라운지 및 수영장 주변 산책, 카페 등 이용할 공간이 많아서 좋습니다. 근데 가장 중요한 청결과 위생에 문제가 있습니다. 냉장고를 여는 순간 손가락 한 마디 크기에 벌레가 튀어 나왔고 방 구석에도 죽은 벌레가 그대로 놓여 있었습니다. 방 변경을 요청하려 했으나 귀찮고 1박만 머물고 짐까지 다 풀어놔서 그냥 있었지만 정말 불쾌하더군요. 냉장고는 절대 이용 못 했고 배낭과 캐리어는 바닥에 두지도 못 했습니다. 벌레 사진 찍은거 있는데 올리는건 좀 아닌것 같아서 그냥 글로 후기 남깁니다. 그 외 웰컴음료나 숙소에 놓인 차 티백도 퀄리티 좋습니다. 그리고 방음이 살짝 안 되는 경향이 있지먀 조용한 편입니다. 시설자체는 나쁘지 않은데 청소상태가 아쉬웠다.객실내 전화기에 먼지가 하얗고 수도꼭지부분도 메이드의 손길이 안간지 오래된듯. 작은거 하나에 호텔의 퀄리티가 결정되는것 같다.침구류는 괜찮았다.처음에 산중턱에 자리잡은 위치를 보고 당황했는데 주변산책로나 등산로를 나름 신경쓴듯 보여 호감이 갔다.여름에 가면 바베큐식당.야외수영장.라벤더꽃이 어우러져 좋을듯 하다.